Millions of children participate in sporting activities, according to the New York University Child Study Center. 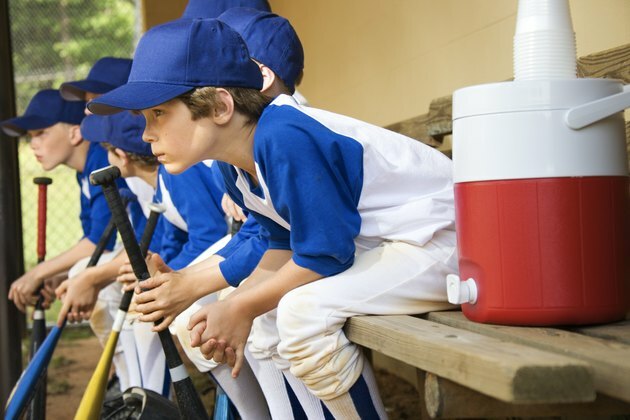 While you may be aware of the benefits team sports offer your child now -- such as social interaction, physical fitness and a sense of accomplishment -- you may not realize that team sports can have a lasting impact. Some of these skills will carry over into his adult life, according to the American Academy of Child and Adolescent Psychiatry, so it's important for you to stay involved in your child's team sports to ensure he gets the most out of the experience. Team sports teach your child about why teamwork is important, which can be helpful when he's an adult and may have to work as part of a team to get his job done. Participating in a team sport can also give your child the opportunity to learn about how to be a good leader, which is an invaluable skill for an adult. Get your child involved in a team sport to keep him active and physically fit during his childhood, which can stick with him throughout his life. More than 30 percent of kids in the U.S. are overweight, according to Emory Healthcare. Children who are overweight are more likely to be obese when they are adults. Playing a team sport can help keep your child fit, which can prevent him from struggling with weight issues throughout his life. Keep your child active to help to build her self-confidence and boost her self-esteem, which can carry over to other parts of her life, according to the American Academy of Pediatrics. Kids who participate in sports are less likely to be depressed, have anxiety and exhibit bad behavior, according to the New York University Child Study Center. This also can follow her into her adult life, because children who were involved in sports often feel better about themselves, socially and physically, as adults. Team sports may benefit your child academically as well, which could improve his chances of getting into the college of his choice and help him to achieve career goals. Sports can influence your child to take his education more seriously, deter delinquency and lower his risk of dropping out of school, claims the NYU Child Study Center, adding that sports also help kids solve problems and think critically. These skills can potentially follow your child throughout his life. Your child learns self-discipline, trust and respect through her participation in team sports, points out the NYU Child Study Center. These qualities build character, which helps your child to become more successful in life. She learns about setting goals and how to work hard to achieve those goals. Children who participate in team sports are less likely to make bad decisions -- such as using illegal drugs, drinking alcohol and smoking -- according to the University of Florida. While being part of a team, your child learns how important it is to stay healthy and make good decisions so that she can perform optimally. NYU Langone Medical Center: Sports and Kids, Pathway to Healthy Development or to Unhealthy Competition?